Peanut butter is a healthy sometimes-snack for humans. However, this is not necessarily the case for dogs. Not all, but many types of peanut butter have an ingredient called xylitol. Xylitol is a substance often used in place of natural sweeteners, and it is highly toxic for dogs. It’s usually extracted from corn fiber, birch trees, and other vegetable materials. While it is safe for people to eat without issue, the same cannot be said for our canine friends. It is imperative if you are going to give them peanut butter–or any other human foods– that you check the ingredients before doing so. Also, ask your vet before giving your dog food meant for humans. Here’s what you should know about dogs and xylitol. 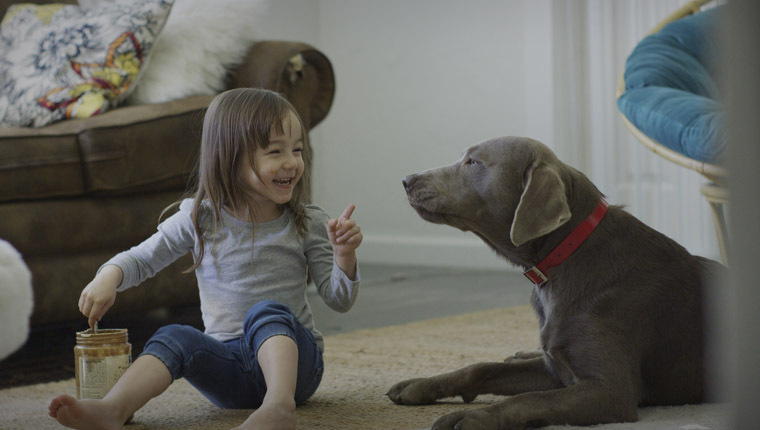 Blood sugar in both humans and dogs is controlled by the release of insulin in the body. However, even though xylitol is a type of sugar, it does not trigger the release insulin from the pancreas in humans. Yet when certain animals, including dogs, eat xylitol, it gets absorbed so rapidly that an overabundance of insulin is released from the pancreas. This can occur with such intense levels of speed that it can cause a sudden drop in blood sugar, called hypoglycemia. This can occur within as little as 10 to 60 minutes and, if left untreated, may be life-threatening. Peanut butter can be a great, yummy treat for dogs, especially if you spread it on a challenging feeder toy, like a Kong. You can also freeze it in lumps to make a summer-time treat, or use it as an ingredient in some dog-safe baked goods. Just make sure xylitol is not included in the ingredients. Get a nice, organic peanut butter, or make some, yourself. No treat is worth risking your dog’s health, and your pup will thank you for the extra vigilance! While no two dogs may react the same way to xylitol poisoning, it’s important to know all of the symptoms. In the event your pet consumes any xylitol, it is imperative that you take them to a vet. There are treatments that a medical professional can administer to dogs that will help offset the insulin surge in their bodies and bring it down so that your dog can recover normally. If you suspect your dog might have ingested either xylitol or any other poisonous substance, get to an emergency vet or call the Animal Poison Control Center at (855)764-7661. Be aware that there may be a fee for calling that number. However, if your dog’s life is on the line, the cost is worth it. 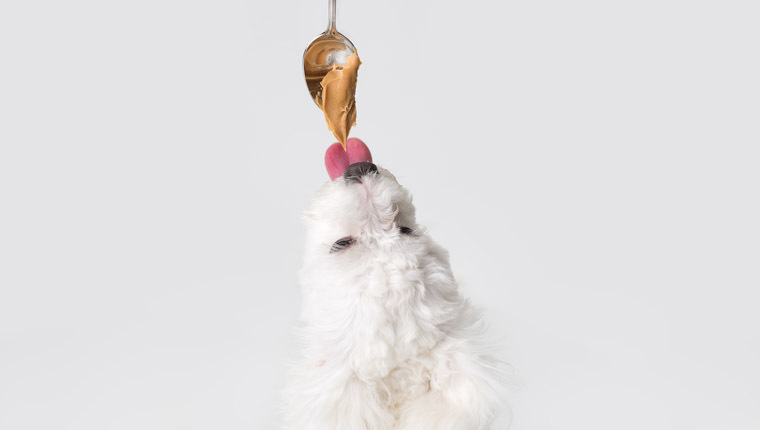 Do you check the ingredients before giving your dog peanut butter? Have you heard of xylitol before? Let us know in the comments below!